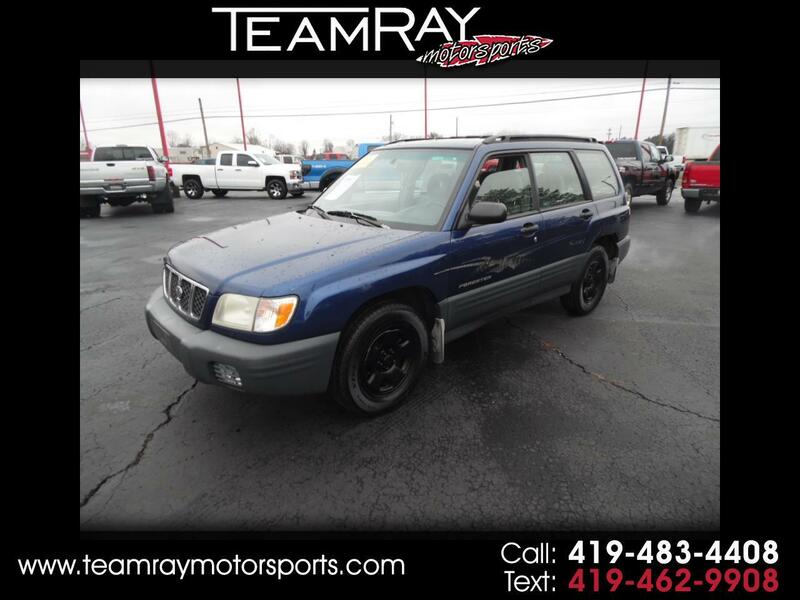 Used 2001 Subaru Forester 4dr L Auto for Sale in Bellevue OH 44811 Teamray Motorsports Inc. Message: Thought you might be interested in this 2001 Subaru Forester. THIS IS A PUBLIC WHOLESALE UNIT THAT WE INSPECT BUT DO VERY MINIMAL IF ANY WORK TO IT BUT IN THE LISTING WE WILL GIVE YOU AN IDEA WHAT THIS UNIT WILL NEED. ALL OF OUR PUBLICE WHOLESALE UNITS WILL RIDE AND DRIVE DOWN THE ROAD AND SHOULD BE GOOD CHEAP TRANSPORTATION HOWEVER THESE VEHICLES ARE SOLD COMPLETELY AS IS WITH ZERO DEALERSHIP GUARANTEE.